The Balkan countries have been on our bucket list for a long time and we were intoxicated with joy and Rakija that it is rightfully Serbia, the former capital of Yugoslavia that marked our foray into the amazing balkans. For most people, Serbia brings to mind its party town of Belgrade and the famous Exit Festival. 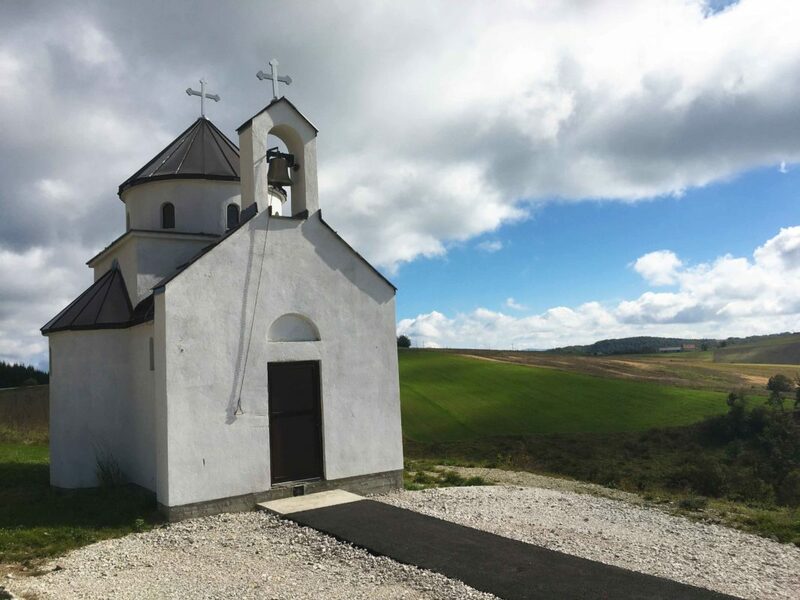 But for us, Serbia will go down for its pristine, untouched nature, captivating country side, lovely locals extremely curious about our ethnicity and the scrumptious Cevapi’s and the most well seasoned fries we have ever tasted. There is a high chance that when you google Serbia, a gorgeous picture of a turquoise river slithering through dramatic meanders crops up. This lake is pride and joy of the Serbians and declared as one of the 7 wonders of Serbia. Finding the paprika village of Serbia. 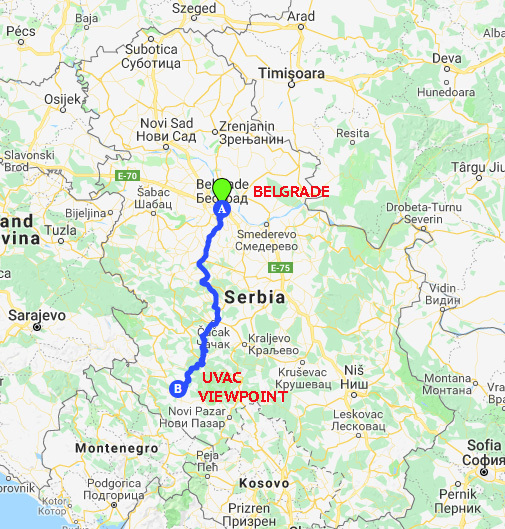 Read On..
258 kms from Belgrade,the drive to Uvac will typically take 5 hours. Roads are in extremely good condition but be prepared for the million hair pin curves ahead. The best option is to drive to Uvac. The country side is too pretty that you would be stopping constantly to click pictures or to just take in all the beauty. There are plenty of Gas stations around Serbia so fuelling is not a concern. But the route to Uvac does not have too many restaurants apart from the small grocery shops attached to the gas stations. 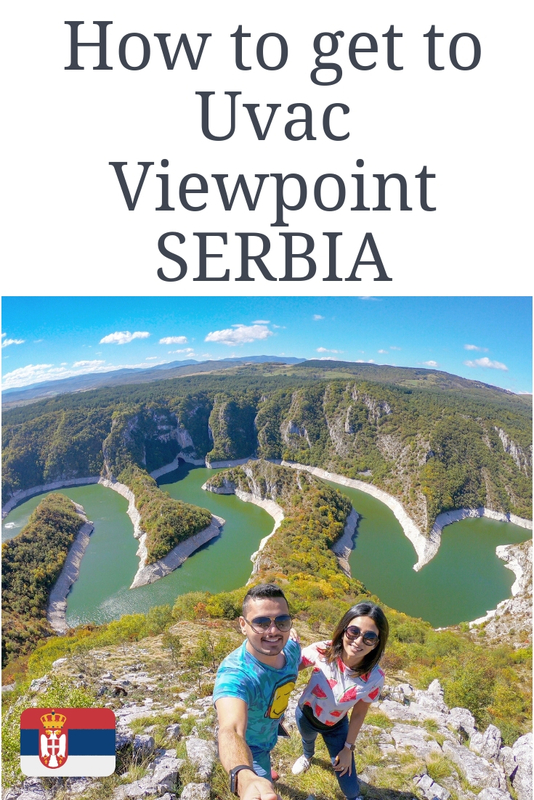 There are two options to reach Uvac viewpoint. 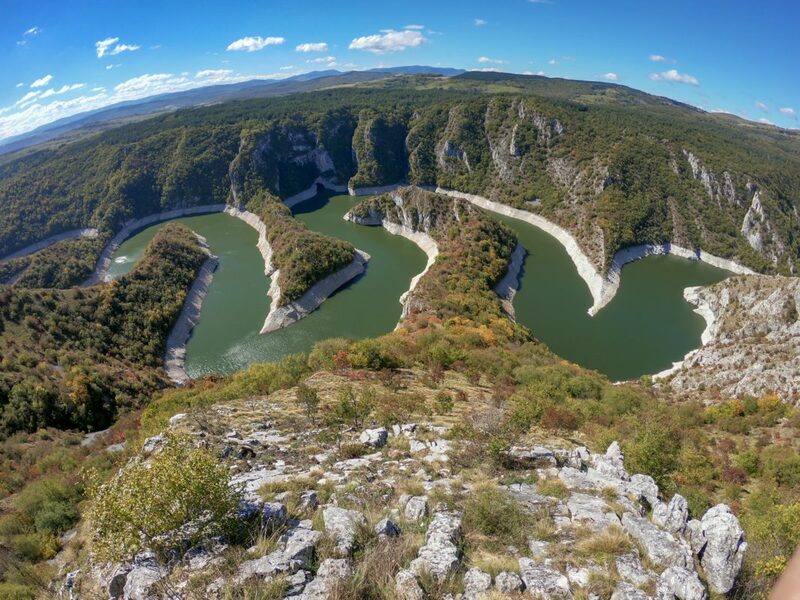 One option is by taking a 5 hour boat ride from the dams of Uvac and Zlatar lake on Rastoke, Nova Varoš followed by 3km hike to the vantage point. 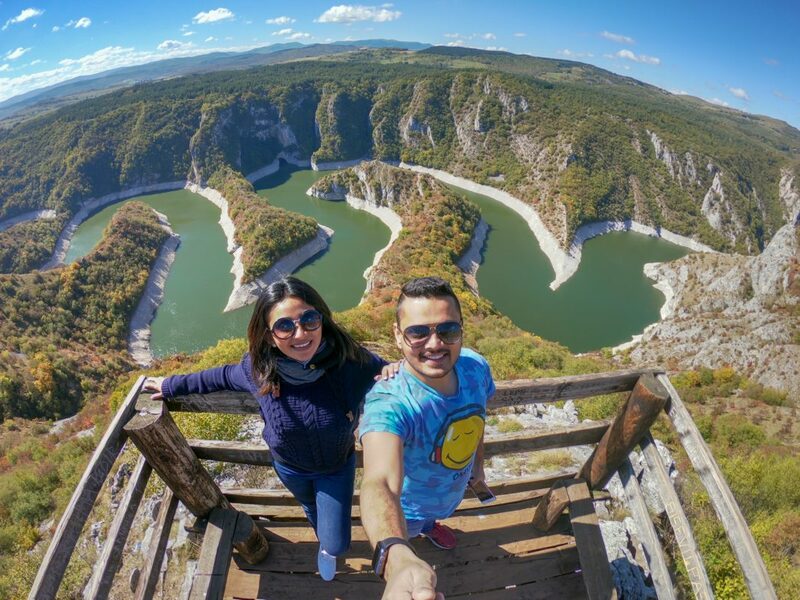 If you are in the mood for some adventure, there is an alternative route along the wilderness that can take you to Uvac viewpoint point directly. Though we were warned that only a 4*4 could make this route, our good ol’ Fiat 500 made this trip with flourish. This option involves a 25 minute offroad ride with steep and dusty winding roads with absolutely no direction signs. Just copy Видиковац Молитва into google maps and buckle up. We drove and drove until there was no road left, still unsure if it was indeed the correct route. Thankfully we saw a couple cars parked near a gate and hoped this would be the place. A short walk later, we were at the gorgeous vantage point overlooking the winding lake of Uvac glistening in the afternoon sun. The whole adventure and bumpy ride was well worth it. Be on the look out for griffin vultures, which are synonymous to Serbia, specially this area. The crazy roads to the Uvac Viewpoint with no life in sight save for the horses, cows, dogs and vultures, this was our happiest moment in Serbia. 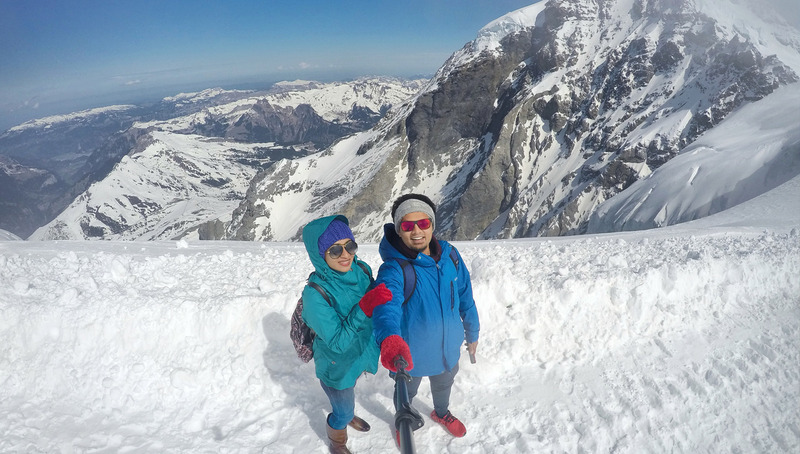 We are Vishnu & Tara, just your regular run of the mill couple who aspires to explore this beautiful planet we call home. 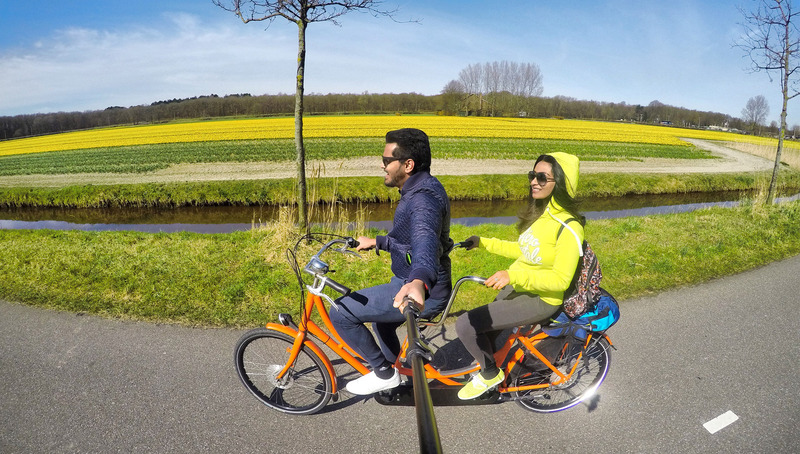 We started travelling in 2015 and realised this is what we want to do. 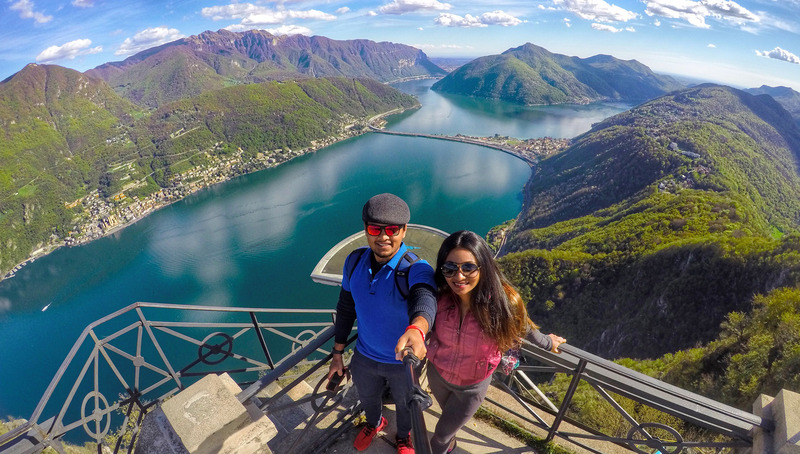 Through Couple Of Travels, we bring to you the world in all its splendour.We hope to inspire you to dream, follow your heart and spread love….